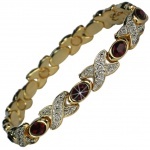 Gemstones are the great enhancer of jewellery. 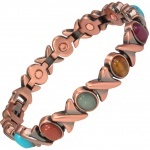 If metal forms the backbone, gemstones supply the heart. 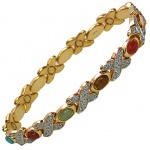 They are the fire and ice that gives jewellery the power to bring joy. 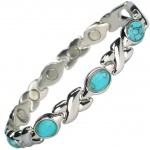 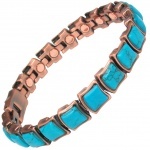 Jade, Turquoise, Amber, Aquamarine and Crystals are all to be found in our wonderful range of magnetic bracelets with gemstones. 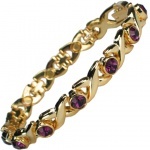 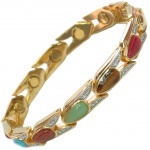 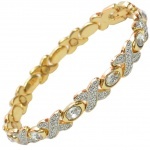 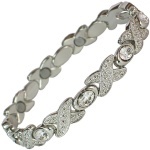 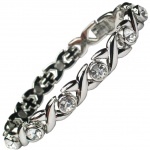 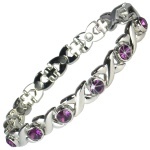 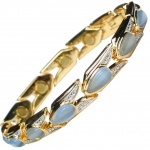 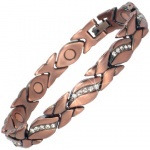 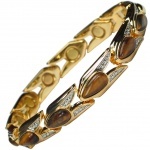 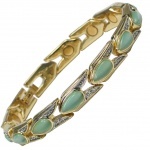 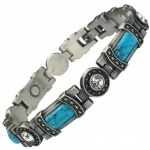 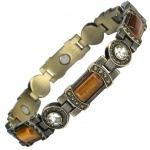 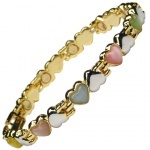 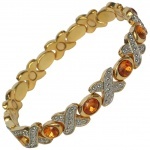 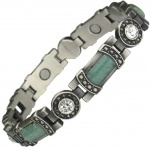 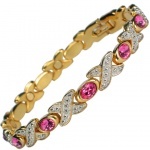 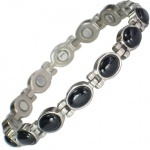 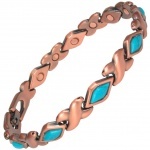 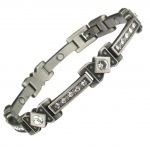 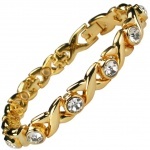 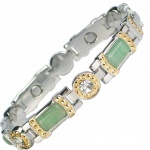 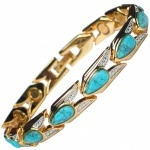 In our Bio Magnetic Therapy Bracelets with Gemstones (Semi precious stones) category you can find Alloy based Magnetic Bracelets with different gemstones, that will transform your Magnetic Therapy Bracelet into a fashionable and colourful piece of jewellery.